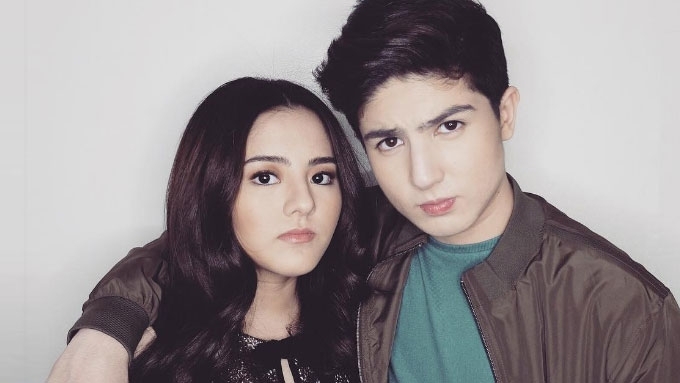 Cassy and Mavy Legaspi will turn 16 on January 6, 2016. Zoren Legaspi and Carmina Villarroel's twins Cassy and Mavy get an early birthday celebration today, January 3, 2017. Three days before their actual birthday, the Legaspi twins bring along their closest friends to Nasugbu, Batangas, for a swimming party. The proud dad gives a peek into the kids' party venue. It looks like the twins and their friends will be having have a coachella night as soon as the sun goes down. All their guests will be given these personalized bags containing a mosquito repellent, sunblock, and soothing ache balm. Here's Carmina's video post of the twins enjoying their afternoon dip. It looks like every thing is set for Cassy and Mavy's "twinning at 16" party.